Welcome home to 6 PERLS WAY, a 2013 Cape situated on small, exclusive cul-de-sac of only six newer homes. 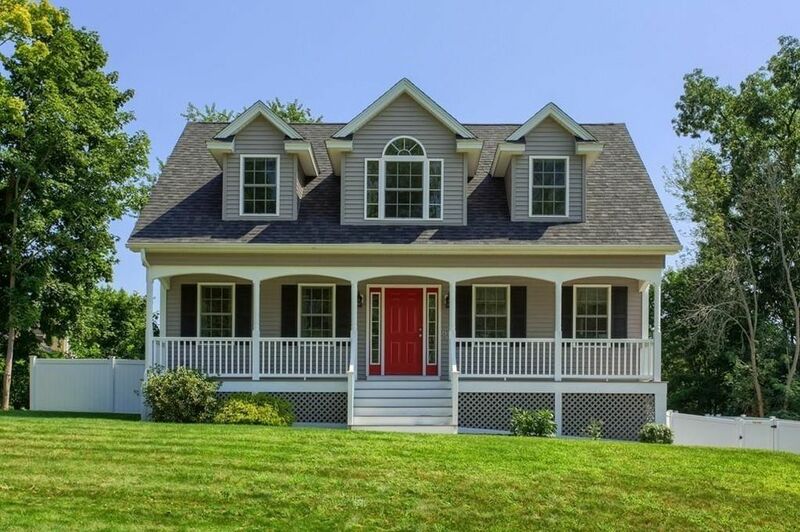 You are welcomed by a stone wall, stairs & walkway to a Farmer's Porch w/ custom archways & composite decking. 1st Floor offers a SPACIOUS & OPEN layout with gleaming oak flooring. Front to back Living Room w/ ceiling fans is centered around a natural gas fireplace. Formal Dining Room flows into a Granite & Stainless Kitchen that over looks a composite deck & fenced-in rear yard. 1st floor Granite Half Bath houses your Washer & Dryer. 2nd Floor provides 3 SPACIOUS Bedrooms, including a Master Suite w/ Double Vanity Granite Bath & Walk-In Closet. Composite Deck overlooks a fenced in rear yard. Oak flooring follows up the stairs and 2nd Floor hall. In-Home Fire Sprinkler System. Newly sealed driveway. Excellent location provides quick access to Interstate 495 and retail shopping & restaurants along Route 125 and into Plaistow, NH. Directions: Main Street (Rte 125) -> Rosemont Street -> Perls Way. First house on Left.